The Eagle Vision system is a COTS-based deployable ground station for processing imagery received directly from commercial satellite platforms. The system will output multispectral, relatively broad-area coverage ARC Digital Raster Imagery (ADRI) products that will support aviation mission planners, topographic units and intelligence analysts. The system provides theater commanders with current mission planning imagery in a timely fashion. Receipt and processing of the data in the field eliminates the long delays previously encountered with CONUS based processing, and makes Eagle Vision a more responsive asset. The Arc Digital Raster Imagery (ADRI) produced by Eagle Vision is entirely unclassified, which makes it particularly well suited for use in coalition warfare. In peacetime, Eagle Vision can be used to update archived data, or to fill gaps in the existing data. The system also provides panchromatic SPOT imagery in a standard commercial format (SPOT Level 1A) for a variety of other uses. Eagle Vision was originally designed to receive imagery from the French SPOT satellite system, but has recently been upgraded to downlink imagery from the US Landsat, the Canadian Radarsat, as well as European and Indian imaging satellites. Eagle Vision is a Foreign Comparative Test (FCT) program which originated as a direct result of lessons learned from Desert Shield/Storm. 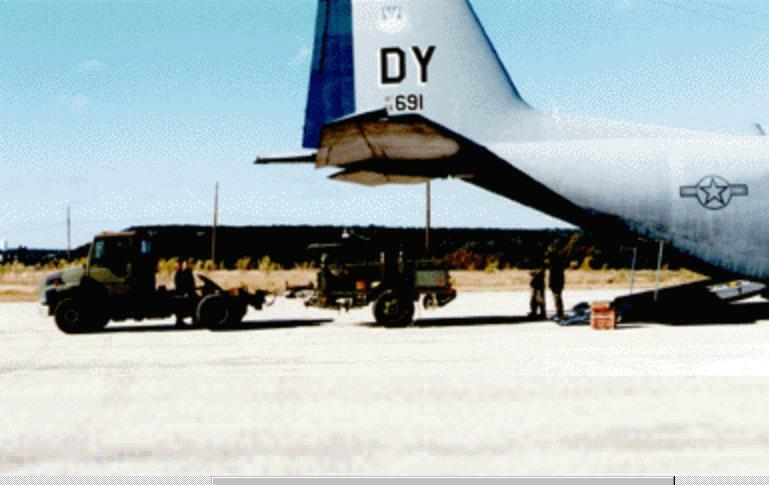 Designed to meet commercial imagery timelines for mission planning, the program was the largest Air Force FCT in FY93 and 94, and funding has continued through FY96. 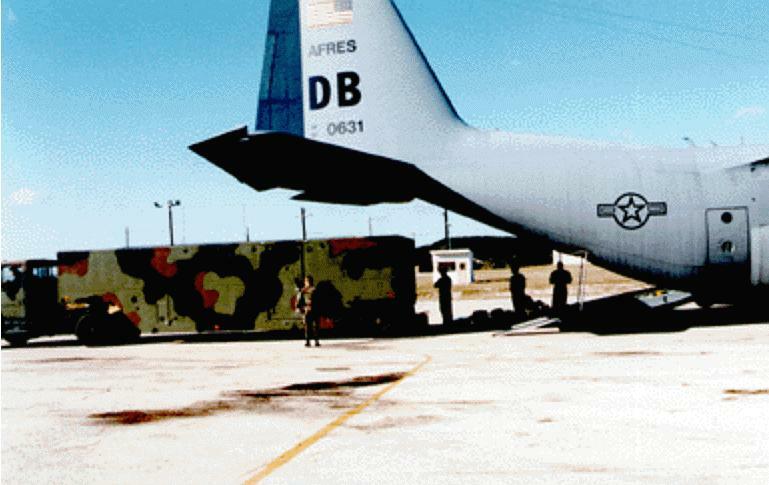 USAFE is acting as the command sponsor for the system, consisting of one 20 foot ISO shelter, 14 transit cases, and a 3.6 meter antenna. 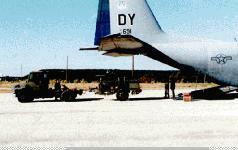 The size of the system provides for easy mobility within 2 C-130's. Eagle Vision is located at Ramstein Air Base, and planning is in progress for the addition of a receive and processing capability for additional satellite platforms. These platforms include the Landsat 5 satellite, IRS-1C, ERS-1, and Radarsat. For its innovation, Eagle Vision has received such national awards as Aviation Week and Space Technology's 1994's Laurels and was on display at the Paris Air Show in 1995. The prototype Eagle Vision II (EVII) system was built by the National Reconnaissance Office (NRO) and will be given to the Army to deploy and assess its tactical utility. 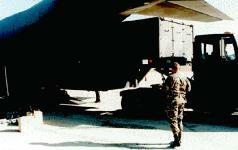 EVII is a 30 foot expandable shelter with a 5.4 meter x-band antenna that is C-130 transportable. It will provide existing mission planning, topographic and intelligence systems with unclassified panchromatic, multi-spectral and radar imagery. Products will be exploited in existing intelligence and graphical information systems. 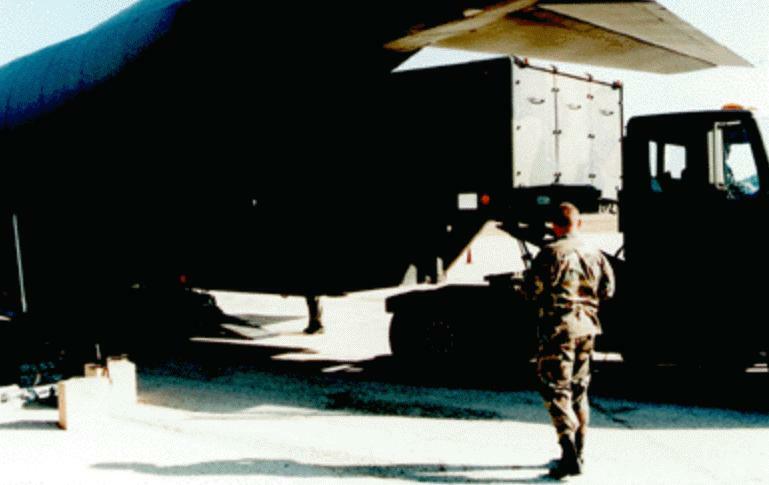 Eagle Vision II (EVII) is a follow-on system that seeks to provide direct downlinks of encrypted commercial imagery to tactical users. Sources of imagery may include SPOT, LANDSAT, RADARSAT, EARLYBIRD, QUICKBIRD, CRSS, ORBVIEW, RESOURCE21, and GDE commercial satellites. The imagery will be used for operational planning, intelligence and mapping, charting and geodesy. The EVII will consist of one 30 foot expanding van and an accompanying five meter antenna. In 1QFY98 the Eagle Vision II Integrated Product Team (IPT) finalized the Army CONOPS. The National Reconnaissance Office (NRO) identified an acquisition strategy and is preparing to build EV II and deliver the system for introduction into the Joint Community through the Army. The Army Space Program Office (ASPO), lead for the EV IT IPT, submitted a request for DA Operational and Maintenance support for $3M starting in FY 2000.